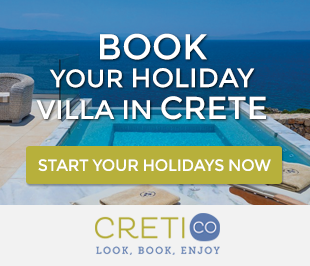 Agia Marina beach Crete is located 5 km west of Chania. Driving along the coastal road to Kolimbari, you will find the first among a series of sandy and pebble beaches. The area was named after the church of Agia Marina (St. Marina). 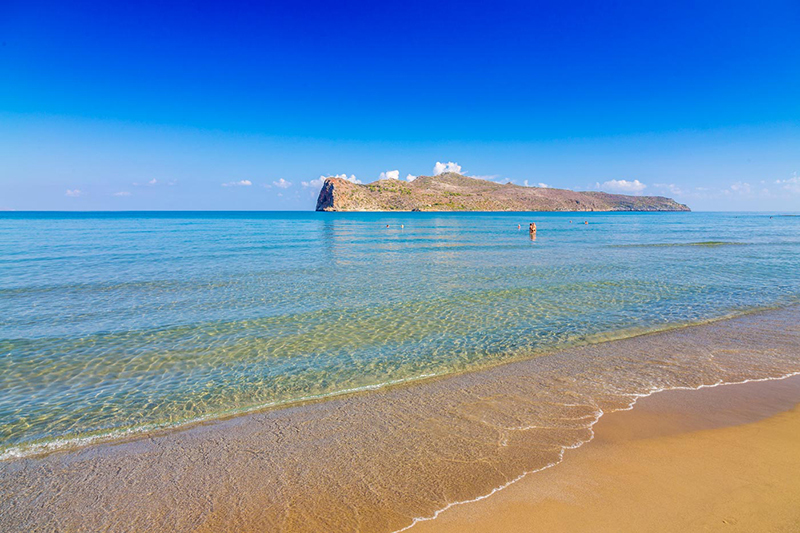 Agia Marina beach in Crete is fantastic, with wonderful sand and clear waters. 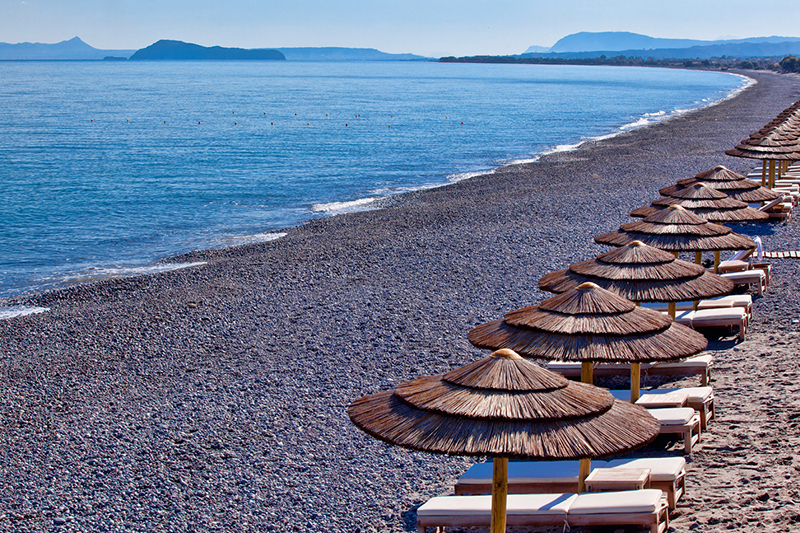 The west side, near the port of Platanias shapes small artificial bays where you can enjoy swimming. To the east side, the beach is single and extends to Stalos. Throughout its length, you will find all the services offered in a well-organized beach. 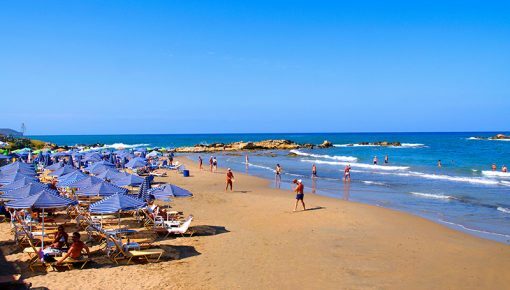 The area where Agia Marina beach in Crete is located is a tourist resort with great development. It has many taverns and restaurants with high-quality food for every taste, bars and cafes that offer drinks, snacks and delicacies. Holiday villas in Agia Marina are very popular as most of them offer luxury, easy access to the sea and many facilities around. Agia Marina attracts many tourists because it has many options for entertainment, such as night clubs,bars and beach bars with Greek and foreign music. Some of the beach bars are open until late in the afternoon, organizing with various events and parties. Clubs open at night and stay open until dawn comes. 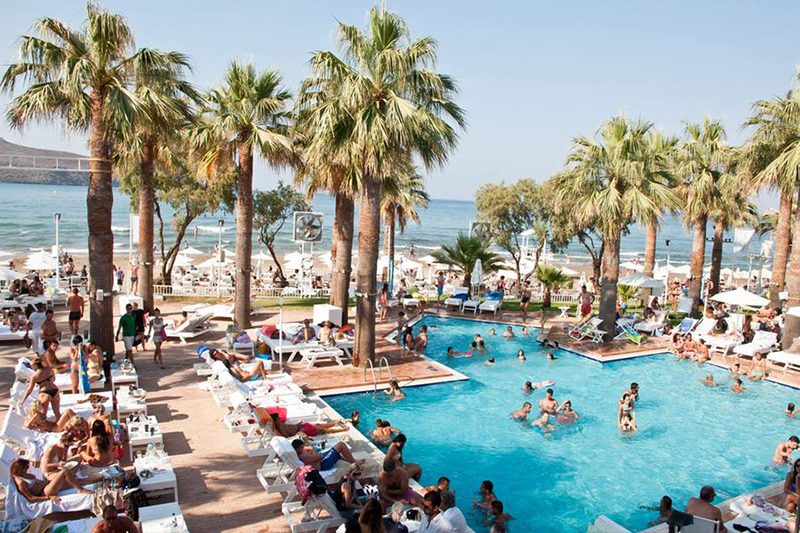 The most popular beach bars and clubs in Agia Marina beach Crete are “Ammos kai Ilios”, “Costa-Costa”, “Villa Mercedes” and “Cabana Mare Beach Resort”. In Agia Marina beach Crete you will also find water sport centers. So you can try surfing, banana, ski, jet-ski or rent a beach bike and go to the opposite islet “Thodorou”. Opposite the beach of Agia Marina, there is the protected island of St. Theodori or Thodorou, where the endangered Cretan wild goats (ibex) live. The approach to the island is strictly prohibited. However, in recent years a limited number of trips have been made to the island by boat, but special permission from the Forestry is required. In the small bay formed south of the island, there is a small dock that is the port for the guardians of the island. There is formed a small beach with sand and shallow waters, completely unknown to everyone because of the prohibition of access. Access to Agia Marina beach in Crete is ensured by regular and frequent bus services, mainly in the summer and by taxi from nearby Chania. Also, one can use private or rented car and motorbikes. 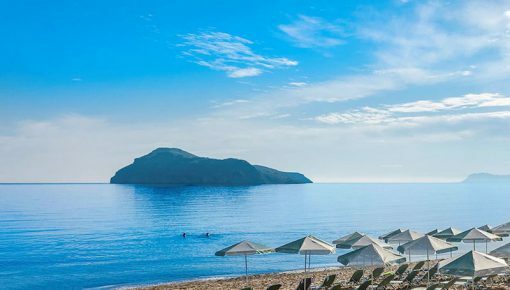 Posted on 03 Jun 2015 in Chania and tagged Agia Marina, Beaches In Chania, Beaches In Crete, Best Beaches In Crete, Kalamaki Beach Crete, Platanias, Stalos.